How do we create a peaceful, joyful life while navigating our filled-to-the-top closets and dressers, struggling to pull together everything we need to go about our day? Our closets never have enough room, items in our packed drawers are difficult to find, and piles of books and paper can leave us feeling hopeless. As a Certified KonMari consultant, a Member of the National Association of Professional Organizers and a Member of the Real Estate Staging Association, my job is to help you start, and then complete, your journey toward a well-managed, organized home. And, along the way, we will discover more joy. In addition to home and business organizing, I also assist family members who are preparing to downsize or move into a smaller home or retirement community. Ensuring that the things your family members love are kept, and that they can enjoy them in a new environment, will facilitate a sucessful transition. 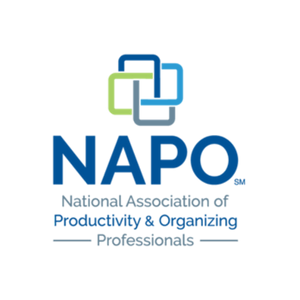 Karin Socci is a Certified KonMari Consultant , Member of NAPO and Member of RESA. I have been interested in organizational systems and home design my entire life. Organizing and cleaning our home was a cornerstone of my family as a childhood. I learned the importance of a tidied home as a child from my mother and grandmother. As an adult, I hadn’t thought of myself as a pack rat, or someone who had too many things, but I was shocked when I took the time to evaluate all my possessions on the basis of whether or not they sparked joy. All the clothes, papers, books and bric a brac that I no longer needed were packed into bags and donated to a better home. I found an exceptional peace in my home once all the clutter was out of sight and no longer a worry. With all my found space, I was able to find a perfect place and a permanent home for all the things I loved. I wanted to make my practice of the KonMari system and my love of design into a business that would help others find the same serenity that comes from a tidy home. Following rigorous training by the KonMari Institute, I have become one of the first Certified KonMari consultants in the U.S. I spent a good part of my life as a clinical psychotherapist, working with individuals and families who were struggling with issues large and small. Many times, my clients have been overwhelmed with the struggles of bringing order and serenity into their lives. The KonMari style of organizing has transformed their relationship with their homes and their possessions. Following rigorous training by the KonMari Institute, I am proud to be the first Certified KonMari Consultant in Manhattan and one of the first Consultants outside of Japan. The Life-Changing Magic of Tidying Up by Marie Kondo, the best-seller which introduces the KonMari Method, has received international acclaim and has been featured in publications such as The New York Times, The Wall Street Journal, and The New Yorker. As of today, the book has sold over six million copies and is available in over 30 countries. People are drawn to the philosophy not only due to its effectiveness, but also because it places great importance on being mindful, introspective, and optimistic. Once you have decided to practice KonMari, re-stage or re-design your home with me, we will schedule a complementary telephone consultation to consider if The Serene Home is right for you. We will complete a questionnaire and I’ll give you a plan for proceeding. I will visit your home for one or more lessons/sessions and help you to learn how to develop your Sparking Joy skills while we bring organization and style into your home. We will address challenging issues and tackle seemingly impossible space problems. If your need is downsizing for a life change, we will evaluate the scope of the work and your goals for the final outcome working with your family members in making difficult decisions. 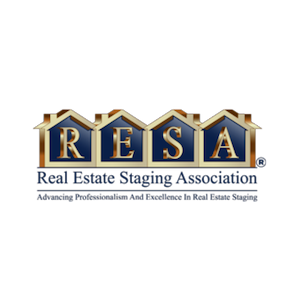 If you are re-staging for a real estate sale, I will consult with your realtors to navigate practical and logistical decisions. All services, including tidying, downsizing and home staging, are priced according to the time required which varies depending on the size of the home and the amount of work needed to achieve your vision. Most clients find that my services are much more affordable than they expected and a great value when your reclaimed space and increased value of your home is considered. Let's make room for more joy. The Serene Home is a showcased New York City, NY professional organizer on FindMyOrganizer.com!